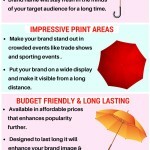 Umbrellas are incredibly popular and functional items that get a lot of attention and appreciation from your audience. 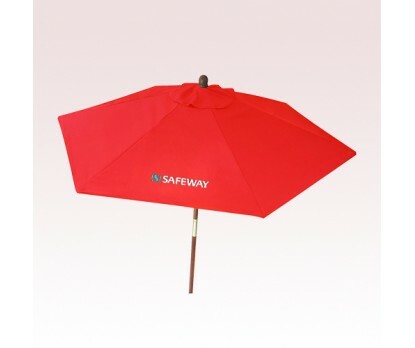 Offered in a wide range of colors and sizes including mini umbrellas to standard umbrellas and giant market umbrellas , your brand on these logo items will stand out easily. 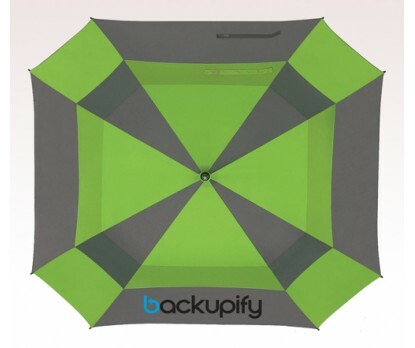 If you are looking for a promotional item that will hoist your message high and ensure visibility from a far distance, look no further than imprinted umbrellas. 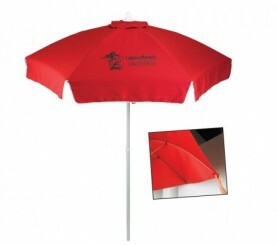 Logo umbrellas offer an incredible display of 360 degree for your brand on its massive canopy. Your brand will be seen from all angles, which makes custom umbrellas great for street corner marketing and to get your message across in crowded events like tradeshows and business events. Umbrellas offer both shade and shelter from rain and sun, which means your brand on these will enjoy visibility in all weather conditions all round the year. High visibility: Colorful and massive, umbrellas offer a generous imprint area for your brand and message. Long Shelf life : Umbrellas are designed to look great and last long and will last for years. Your marketing message on these will stay in the eyespan of your prospects for a long period of time. 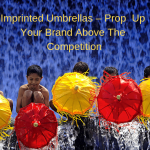 Umbrellas are daily use items that people use quite often and your brand on these will make consistent impressions without any repeat investment. Practical: Umbrellas will not just protect the users from rain or showers but even get shared among strangers on a bad weather day. So, imagine the exposure your brand will get on these daily use items all round the year. Every time someone takes refuge from the harsh rain or sun under these brollies, they will surely be tempted to take a closer look at the message imprinted on these. 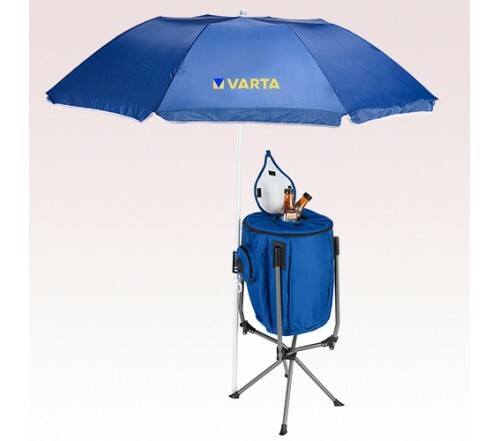 Branding opportunities: Umbrellas are available in a range of sizes and models that make it easy for marketers to position their brand and marketing message effectively. The wide canopy of umbrellas will highlight your brand and message in style and get everyone talk about it for a long time to come. Imprint attractive designs, artwork or tagline to make it unique and attention grabbing. Versatile: Umbrellas are versatile and gender neutral gifts that everyone will find interesting. So, if you are looking for a popular handout that will impress everyone irrespective of demographics or gender differences, look no further than umbrellas. 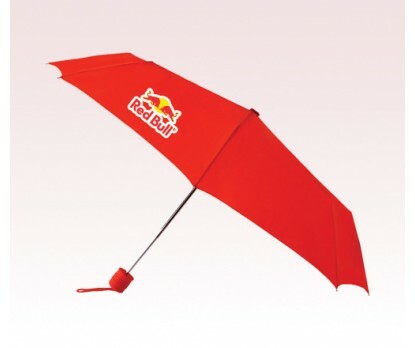 What do you think is the biggest attribute of custom umbrellas as promotional tools? Do share your ideas and opinions at our comments section below.